Hahnemühle Photo Rag® Metallic is a silvery-shimmering FineArt inkjet paper with a specially formulated inkjet coating for FineArt use. The natural white cotton paper contains no optical brighteners and has the characteristic Photo Rag® surface structure and sumptuous feel. 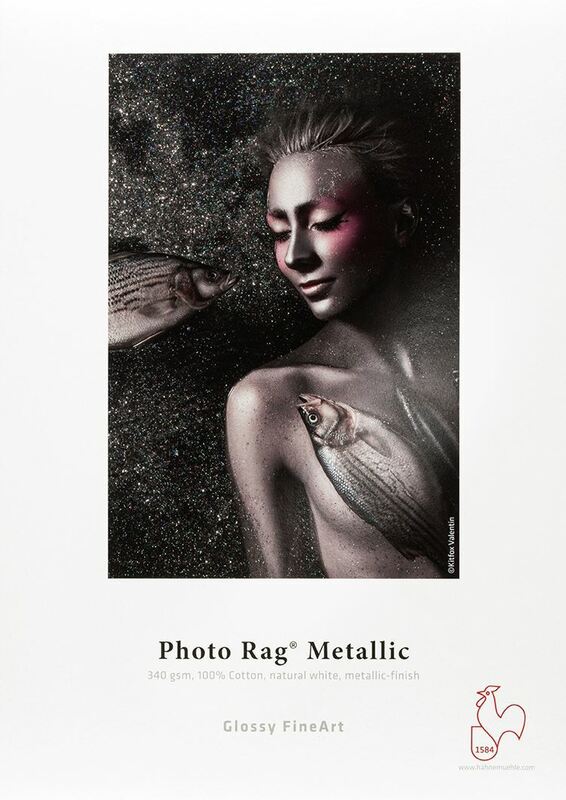 Photo Rag® Metallic features a special silvery-shimmering surface finish. The high-gloss premium inkjet coating with a unique metallic effect guarantees impressive printing results with bold colours, deep black and the perfect reproduction of colour and detail. The sophisticated silver metallic effect underscores the image and makes motifs with metallic elements, reflections, ice and glass, architecture and landscape shots, as well as black and white photographs with high-contrast tones shine. Photo Rag® Metallic is acid and lignin-free and meets the most exacting requirements in terms of age resistance. Product Description Photo Rag® Metallic – a natural white, 100% cotton paper – guarantees archival standards. 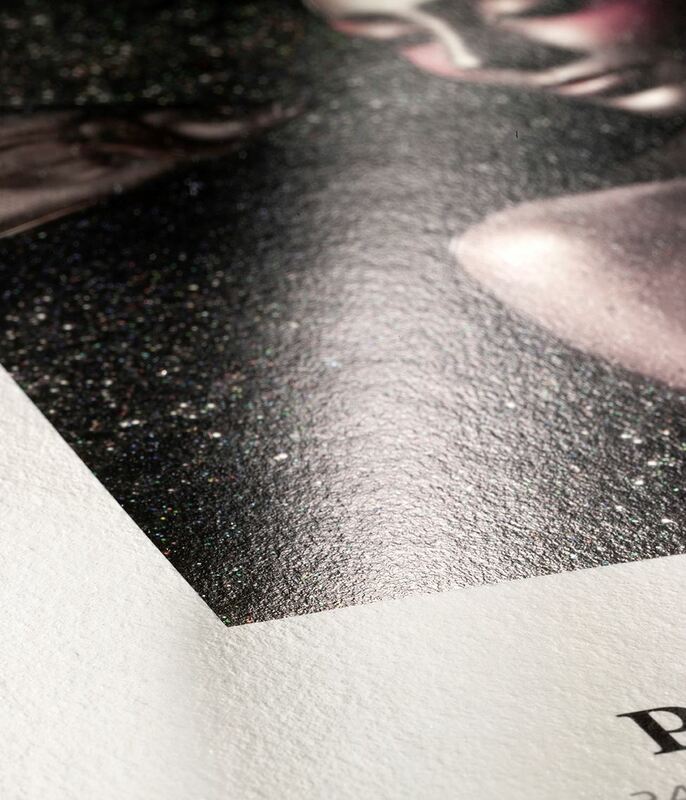 With its premium high-gloss baryta inkjet coating and a silvery shimmering metallic effect Photo Rag® Metallic meets the highest industry standards regarding density, colour gamut, colour graduation and image sharpness while preserving the special touch and feel of genuine art paper. Compatible with pigmented and dye inkjet systems. Applications Photographic and fine art reproduction complying with highest archival standards, digital art, black & white and colour photography, limited edition prints, presentation prints for display purposes and exhibitions, albums, greeting cards etc. All recommendations and product indications are for your guidance, and are subject to our test criteria, which remain subject to change without prior notice. The consistency of results is not guaranteed. Use care in handling printed material, surface susceptible to abrasion. Store papers in archive quality envelopes, folders, and boxes. Use only archive grade tapes and glues for mounting & framing.